A 7th grader – already?? Taylor started 7th grade today. She’ll officially be a teenager in just a few months. I. am. not. ready. As we drove past the high school, I took her hand and said, “In two years, that’ll be our turn.” She said, “In four years, it’ll MY turn.” Yeah, she’s already dreaming about driving herself to school. Here are a few pictures from this morning. She reluctantly held up 7 fingers… then got silly on me. 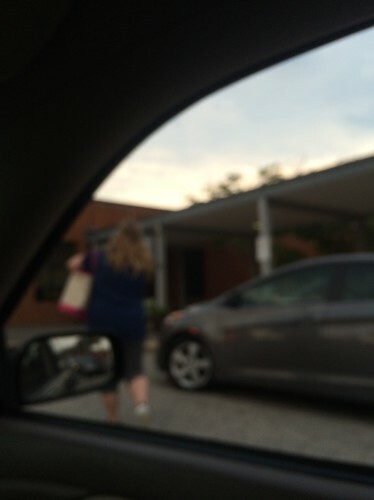 At school, I was hoping to get a shot of her getting out of the car, but she refused and then didn’t even give me time to focus and snag one anyway!